Intracerebral haemorrhage is a severe condition more frequent in the elderly and associated with the use of anticoagulant drugs. The concomitant use of frequently prescribed medicines such as antidepressants or proton pump inhibitors could increase the risk. 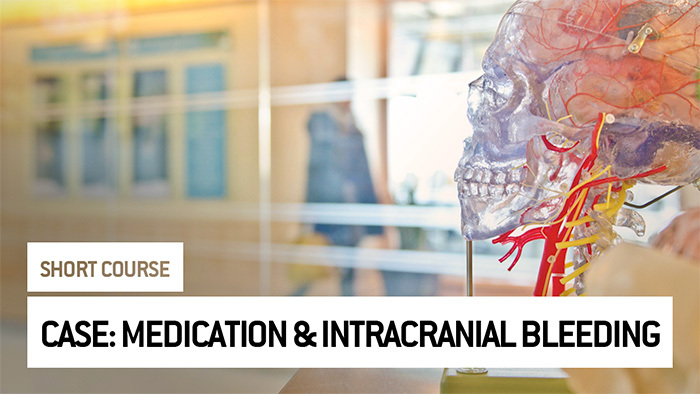 This course intends to teach you how consumption databases help to estimate the impact of intracerebral bleeding in a given population. At the end of the course, you will know how it is possible to estimate the contribution of the concomitant use of medicines to the incidence and prevalence of a severe adverse effect.